A shared services organization pools the resources of multiple program managers to (i) build a skilled, knowledgeable, efficient back office that manages compliance for the program as well as settlement, risk, project management, and vendor relationships as well as (ii) split the basic costs of program management among all of the joining members. These costs include back office expenses, issuing bank minimums, processor minimums, call center minimums, as well as all related implementation fees. All of these minimums are replaced with a single, lower shared services organization minimum split among the members of The Card Collaborative. Instead of each program manager bearing the full costs of supporting a complete back office, these resources and associated costs are split among the members. Other less-frequently considered expenses that are pooled among the members are costs associated with PCI compliance, business insurance, and project management. A shared services organization allows members to achieve economies of scale quickly thus reducing each member’s break-even point and time to profitability. 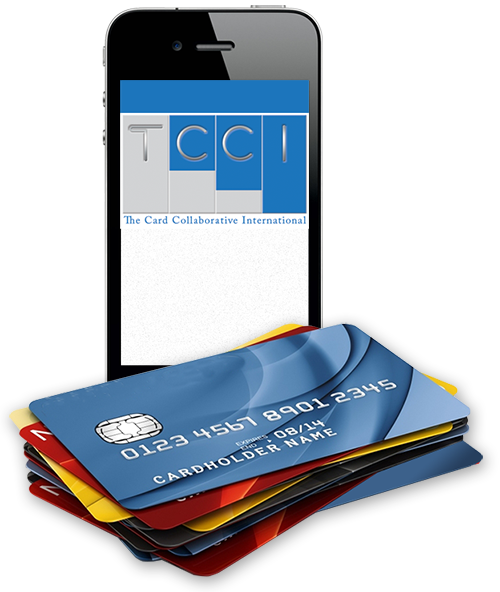 The Card Collaborative shared services organization has assumed the role of program manager engaging directly with issuing banks, processors, card fulfillment providers, and other service providers that best serve the needs of its members. Think of the power of this model from a regulatory and oversight perspective: the shared services model dramatically simplifies the oversight responsibilities of the issuing banks. Instead of having to manage and audit multiple program managers and back offices, the issuing bank only needs to go to one place to access everything it needs – the shared services organization. This is part of the reason our model has become so successful and popular among programs and banks alike. The shared services organization is also a powerful tool for traditional program managers: program managers are able to achieve diversification with access to multiple banks and partners through the shared services organization without having to pay multiple minimums. This also improves a member’s chance of success in getting a program approved. If one bank is not able to accept a particular program, one of the other bank partners might. Not all banks offer all card product types, therefore having access to multiple banks provides members with the maximum amount of opportunities. An additional advantage to having the shared services organization serve as the program manager is the ability for The Card Collaborative to utilize the aggregate volume of all of its members to negotiate superior prices with banks, processors, and service providers. The banks, processors, and service providers also typically offer tiered pricing schedules. The Card Collaborative simply passes these fees through to its members. When the collective members achieve a higher tier, thus reducing the overall price per transaction, EVERY member benefits instead of each member needing to hit a tier in order to benefit from the reduced pricing if they had to engage these partners themselves.